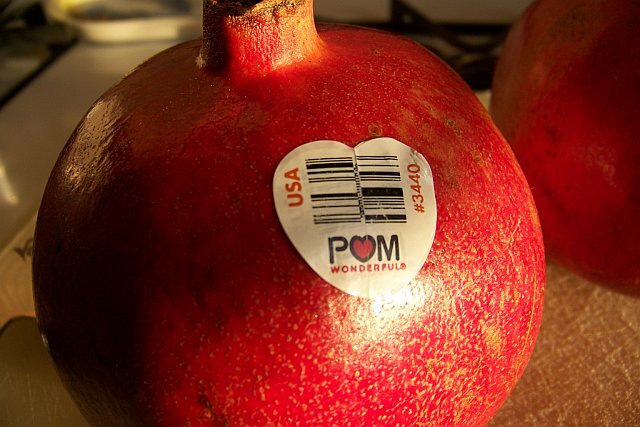 I was super-excited that the folks at POM Wonderful selected me as one of 100 bloggers to host a pomegranate-centered party! 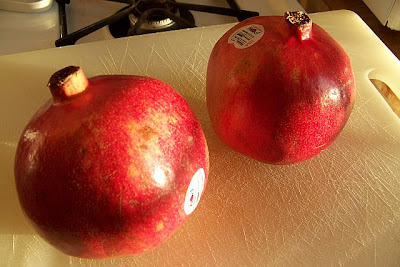 They said they'd send fresh pomegranates, instructions, giveaway bags, and more...all I had to do was feature their fruit and blog about it...woo hoo! First things first. 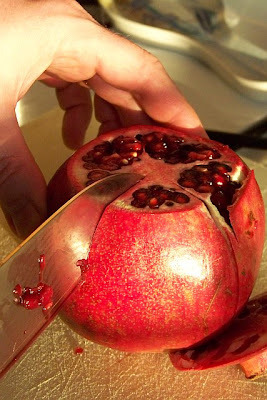 Until now, I'd never handled a fresh pomegranate. I was intrigued and also nervous, but the POM Wonderful folks made it SO easy. 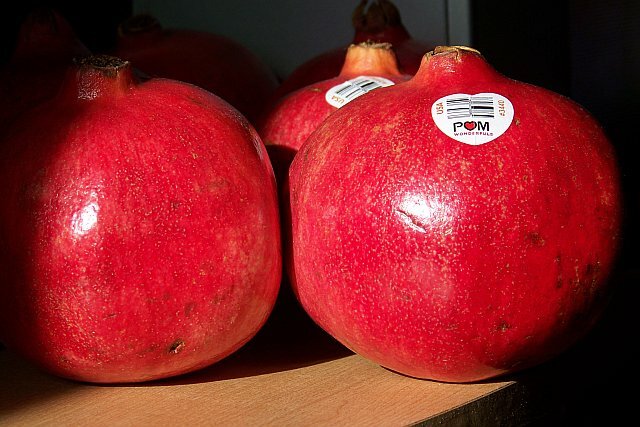 They had videos on their website to walk you through it, and they even sent a sweet pomegrantate-shaped guide that I consulted numerous times. POM also encouraged us to post videos of the process, so I shot some (coming soon)! 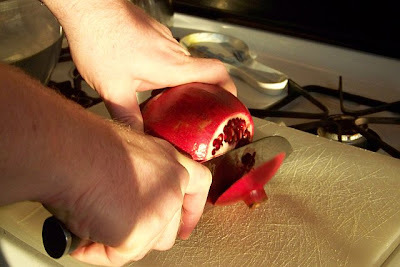 ABF was a sweetheart and agreed to do the chopping while I did the shooting. Here's the still shoot first. That awesome knife he's using was my Valentine's Day gift a few years ago (I loooove it!)! It's actually quite simple! Slice off the top, exposing the 5-6 individual sections. 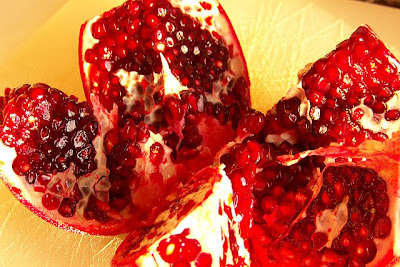 Then cut out each section, slicing it out just like you would section out a grapefruit or orange. See? Not difficult or intimidating at all! 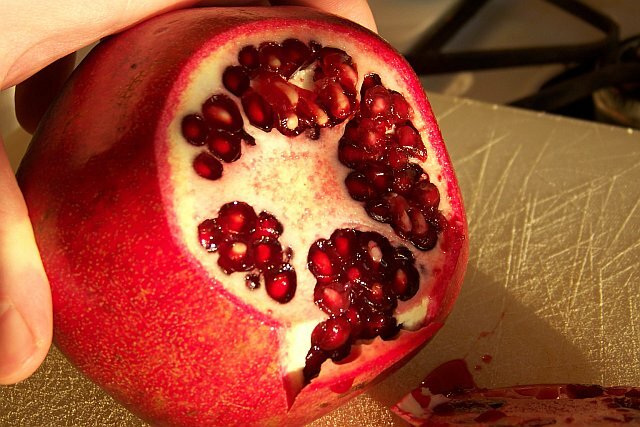 Once you've taken apart all the segments, take a moment and enjoy the beauty of it! 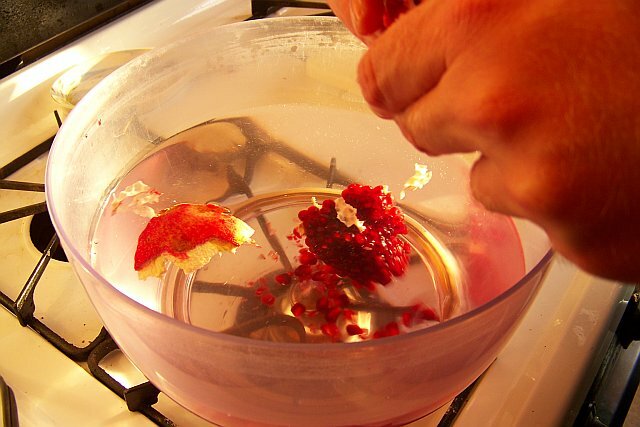 Remove each section and loosen the arils (the seeds) into a bowl of water. The remaining membranes will float up to the top,and you can scoop out those bits. After you strain out the seeds, you're ready to go! 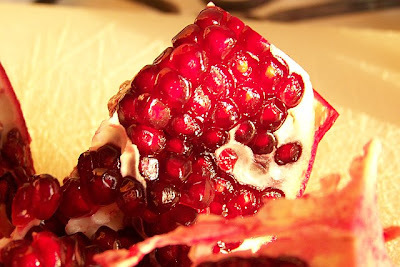 Recipes and videos coming in the next post! 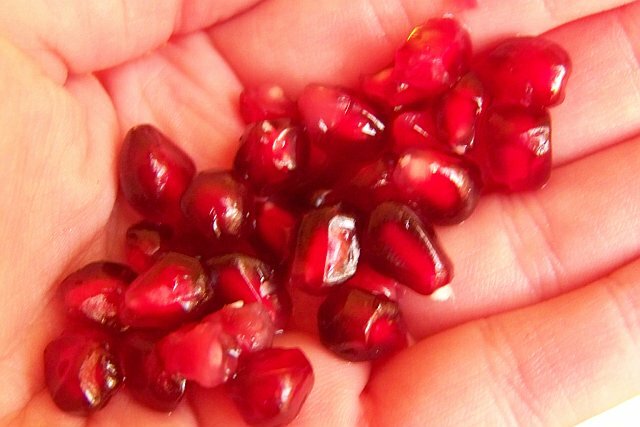 Did you know you can freeze the seeds??? I put themi na baggie and take out the seeds as needed for dessert/salad garnishes and in adult beverages...Can't wait to see the rest of the blog!!!! My very first-ever Pecan Pie!